​We present a system that composes a realistic picture from a simple freehand sketch annotated with text labels. 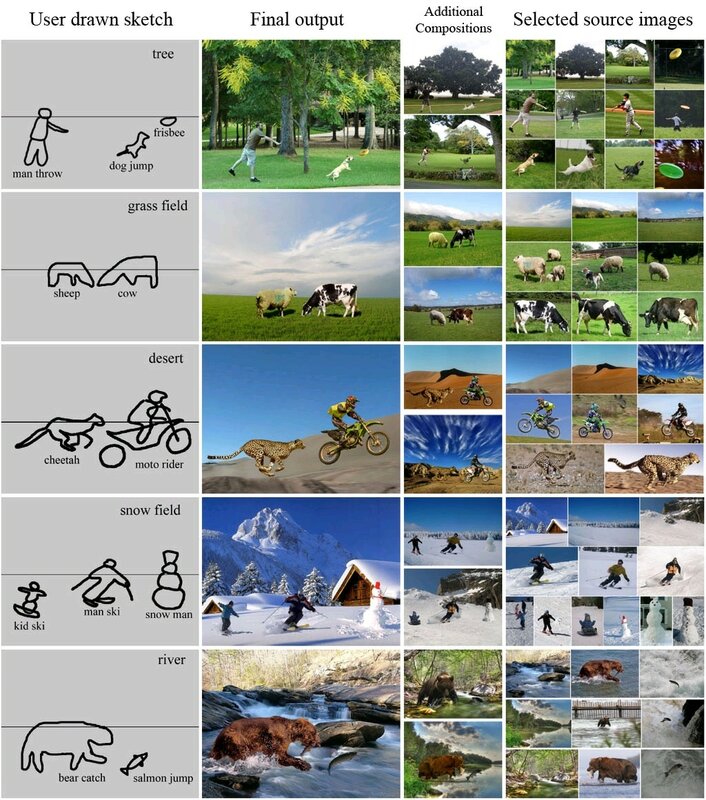 The composed picture is generated by seamlessly stitching several photographs in agreement with the sketch and text labels; these are found by searching the Internet. Although online image search generates many inappropriate results, our system is able to automatically select suitable photographs to generate a high quality composition, using a filtering scheme to exclude undesirable images. We also provide a novel image blending algorithm to allow seamless image composition. Each blending result is given a numeric score, allowing us to find an optimal combination of discovered images. Experimental results show the method is very successful; we also evaluate our system using the results from two user studies.